Assertio Septem Sacramentorum: Or, An Assertion of the Seven Sacraments, Against Martin Luther; By Henry the VIII. Of England, France, & Ireland, King. 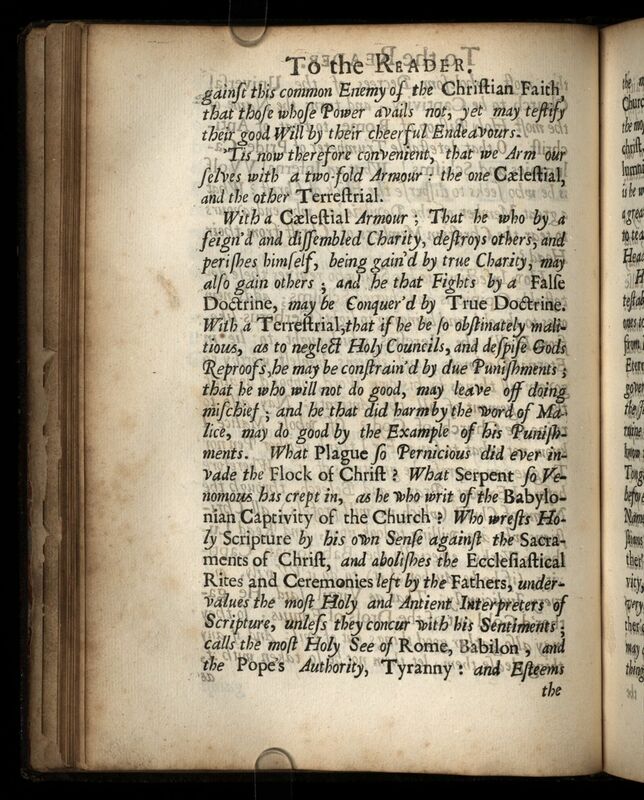 To which is adjoyn’d his Epistle to the Pope; Mr. John Clark’s Oration; And the Pope’s Answer thereunto. As also, The Pope’s Bull, by which His Holiness was pleas’d to bestow upon K. Henry. VIII. (for Composing this Book,) That most Illustrious, Splended, and most Christian-like Title of Defender of the Faith. 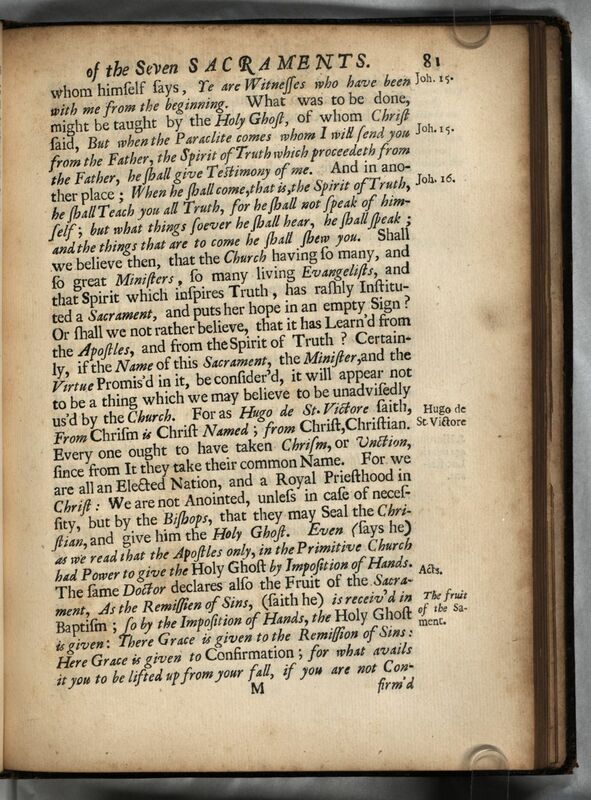 Title-page Attribution: Faithfully Translated into English by T[homas].W[ebster]. Gent. Titre: Assertio Septem Sacramentorum: Or, An Assertion of the Seven Sacraments, Against Martin Luther; By Henry the VIII. Of England, France, & Ireland, King. 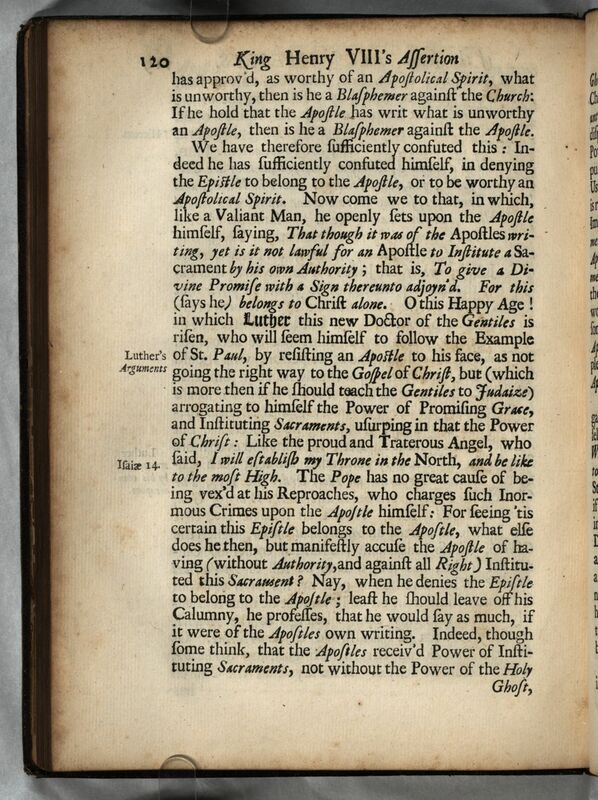 To which is adjoyn’d his Epistle to the Pope; Mr. John Clark’s Oration; And the Pope’s Answer thereunto. As also, The Pope’s Bull, by which His Holiness was pleas’d to bestow upon K. Henry. VIII. (for Composing this Book,) That most Illustrious, Splended, and most Christian-like Title of Defender of the Faith. Editeur: Published by Authority. Printed by Nath. Thompson at the Entrance into the Old-Spring-Garden near Charing-Cross. TitreAssertio Septem Sacramentorum: Or, An Assertion of the Seven Sacraments, Against Martin Luther; By Henry the VIII. Of England, France, & Ireland, King. 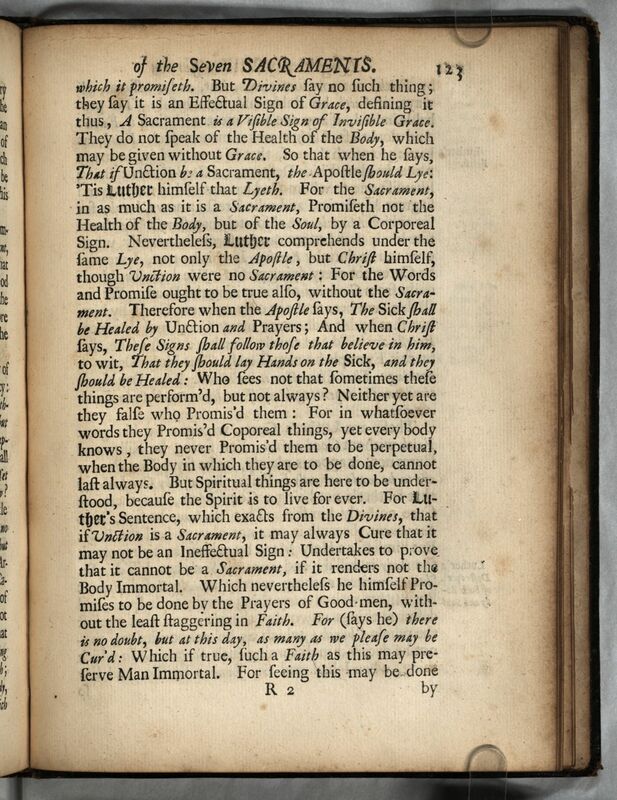 To which is adjoyn’d his Epistle to the Pope; Mr. John Clark’s Oration; And the Pope’s Answer thereunto. As also, The Pope’s Bull, by which His Holiness was pleas’d to bestow upon K. Henry. VIII. (for Composing this Book,) That most Illustrious, Splended, and most Christian-like Title of Defender of the Faith. Lieu de publicationPublished by Authority. Printed by Nath. Thompson at the Entrance into the Old-Spring-Garden near Charing-Cross. Remarques généralesTitle-page Attribution: Faithfully Translated into English by T[homas].W[ebster]. Gent.